Often, cases of eviction are met with misunderstanding and anger due to the sensitive matter that is being disputed. As a landlord, you have a lot on your plate, and delivering eviction papers should be the least of your concerns. Call on March Whitcomb & Associates, professional constables, that can get the job done in a timely matter. 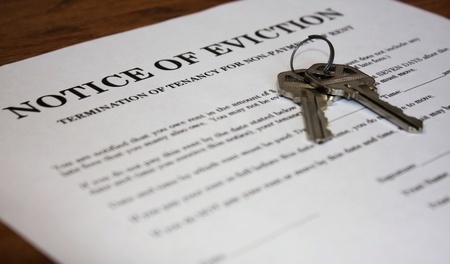 If you’re planning to evict a tenant, a reliable constable is a necessity. They can make matters that involve legal action easier on you. As your servers of process, we take the time to understand your point of view and properly facilitate your legal paperwork during the eviction process. Our constables have the experience and knowledge to make the eviction of your tenant a much easier process for you. We conduct our constable services through fair and effective enforcement of the process. Trust our constables of eviction papers. As well as many other towns across the commonwealth of Massachusetts from our associates.